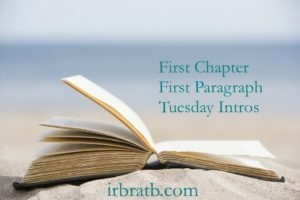 First Chapter First Paragraph Tuesday Intros is a weekly meme hosted by Vicky at I’d Rather Be At The Beach. Each week, participants share a paragraph (or two) from a book they are currently reading or are planning to read soon. 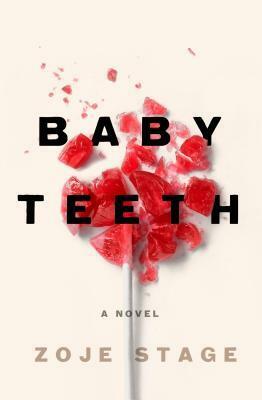 Today I’m going to share the first couple of chapter of Baby Teeth by Zoje Stage. I received my copy in the mail last week and I can’t wait to begin reading it. It sounds dark and thrilling. The earliest reviews have been a bit all over the place. People seem to feel very passionately about this one. I love books that evoke strong opinions as they never fail to inspire lively debate! “Maybe the machine could see the words she never spoke. Maybe they blazed in her bones. Maybe if the people in the white coats blew up the pictures, they’s see her thoughts, mapped like mountains and railroad tracks, across her ghostly skull. Hanna knew nothing was wrong with her. But Mommy wanted them to look. Again. Creepy from the get-go. I’m in! I considered accepting this book from NetGalley….but I think it might be too creepy for me. I hate evil children…LOL. Thanks for sharing, and for visiting my blog. I can understand that, Laurel. I don’t think I’d want to see a movie with this theme but somehow I’m intrigued by the book. Thanks for stopping! I’m intrigued and I’d keep reading! Thanks, Catherine! Glad to hear you enjoyed the first two paragraphs. The pressure’s on. Lol. We shall see… I like that it’s something a bit different and I’m open to high levels of creep factor. Execution on these types of books, however, is sometimes difficult. The more I hear about this book the more I want to read it! That opening just makes me want to carry on reading. I’m with you, Cleo. It’s intriguing!